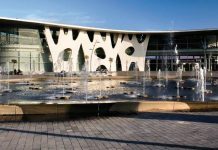 During glasstec we had the chance to speak to Mark Hailwood – Managing Director of Lattimer, about the company, its products, markets and outlook and, of course, the company’s recent Queen’s Award for Enterprise and International Trade. 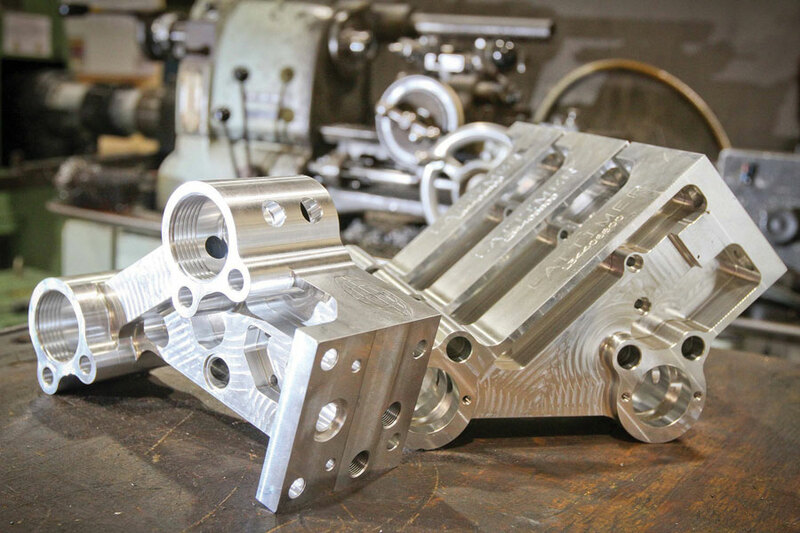 Lattimer is a globally renowned precision machinist and a champion exporter with overseas contracts accounting for 96 per cent of all sales. It designs and manufactures more than 20,000 different component parts predominantly for the glass container manufacturing industry. Lattimer is effectively a one stop shop for IS variable equipment. The firm employs circa 125 people with its head office located in Southport, North West UK, where it was founded in 1937. More than 40 per cent of the current UK workforce have come through an internal apprenticeship. It exports to all four corners of the globe with key markets including Asia, Africa, Europe, North America, South America and Australia. Group turnover stands at circa GBP 12 million. 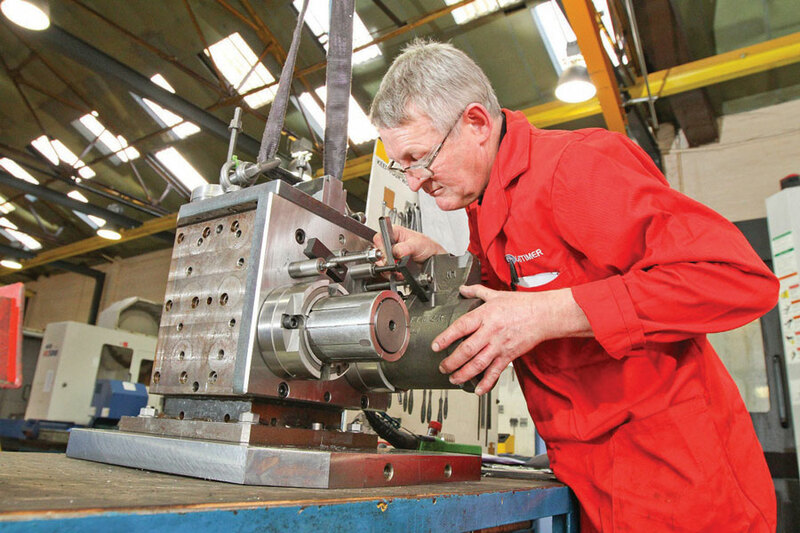 Its broad product range can be broken down into 14 groups, made through a number of different machining processes – milling, turning, mill-turning and grinding. Within the glass container industry Lattimer has two key targets – glass container manufacturing plants and the OEMs (Original Equipment Manufacturers) who sell into the plants. 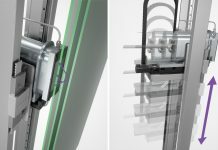 Lattimer has been at the forefront of setting standards in glass engineering for over three decades thanks to constant innovation and product development in the supply of IS variable equipment. Lattimer has invested significantly in the latest CNC machine technology, ensuring its products are manufactured to the highest standards. Recent investments include a new CMM measuring facility which provide extra capacity and flexibility in the measuring of complex components and assemblies, along with the ability to supply bespoke component measurement data if required. Lattimer is able to supply all IS variable equipment requirements in all product families. 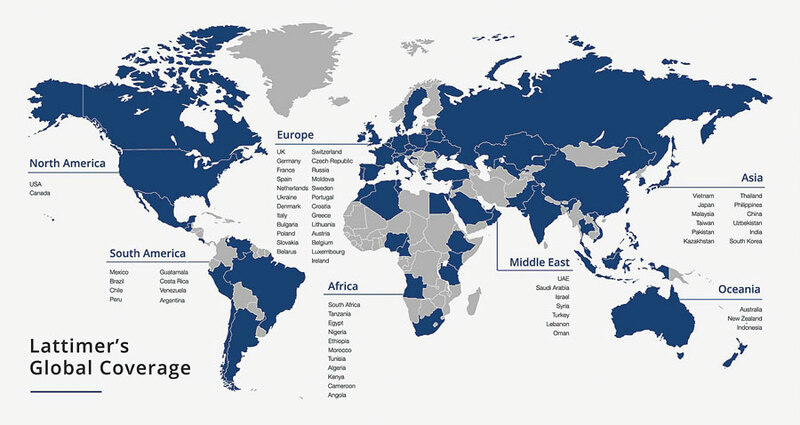 Many of Lattimer’s products have led the field in innovation and have subsequently become industry standards, specified and recommended by companies worldwide. The company can also engineer, design and manufacture special parts addressing specific issues. 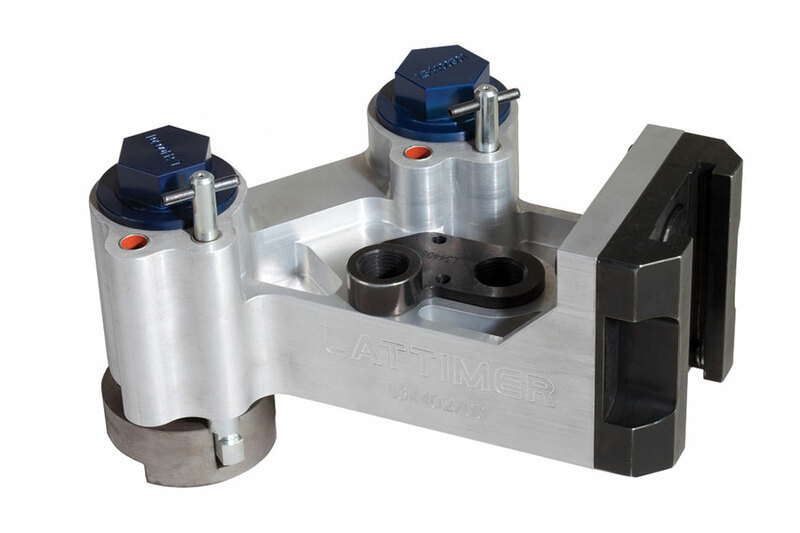 Lattimer’s products range includes Neck Ring Mechanisms, Mould Holders, Neck Ring Arms, Blowheads, Tong Heads and Take Out Arms, as well as an extensive range of Spare Parts and Checking Fixtures for all IS variable equipment requirements. GMP&A: First of all, why did Lattimer receive the Queen’s Award? Mark Hailwood, Lattimer: We actually received the award because we put our name forward to be considered for Enterprise and International Trade. And, of course, to be able to be considered, you need to demonstrate quite an aggressive export growth over a minimum of time and Lattimer, in fact, has demonstrated significant growth over an even longer period. GMP&A: Tell us a little about the people ‘behind’ this award. Lattimer: Well, because our people must be highly skilled, they are often sourced by other important multi-national companies in the aerospace and automotive industry. So to keep them with us, we have a training school, where we take our apprentices – we normally hire about four each year. And when these apprentices finish training we make sure that they have the right salary for the job that they’re doing. GMP&A: What about your products? What are the main products that you export and where? Lattimer: ur philosophy is to sell our products, of course, but to do this providing a high level of quality, delivery and service performance. And our clients need these characteristics because they need to have their machines running continuously. Another important aspect is flexibility, as not every country in the world wants the same products or the same offerings. And very often we get requests from machinery manufacturers because their clients want our equipment supplied with the machines. One of these machinery manufacturers is Emhart, who, in turn, supply all the spares requirements for Owens-Illinois machines, and we do quite a lot of business with them. As far as exports are concerned, we export between 90-95% of the UK output to approximately 66 countries each year – with almost total global coverage. GMP&A: Working with a lot of different countries involves dealing with completely different cultures. How does that affect your work? Lattimer: This is where our flexibility comes in – different companies and different geographical areas have completely different preferences in terms of products and their requirements. We use our experience gained visiting these customers and our network of local agents to ensure our offering is tailored to exactly their requirements. Another part of this flexibility is our sales force: we have people who speak a number of languages. For example Evgeniy is from Ukraine but he lives and works in the US for us; Ana is Spanish and speaks about five languages; Eva is Austrian and she works mainly in the German market. We also have a Recardo, who is to join Lattimer in February as a Technical Sales resource with extensive experience in the South African Glass industry. We are, in fact, always looking for people who will satisfy the expectations of our customers. 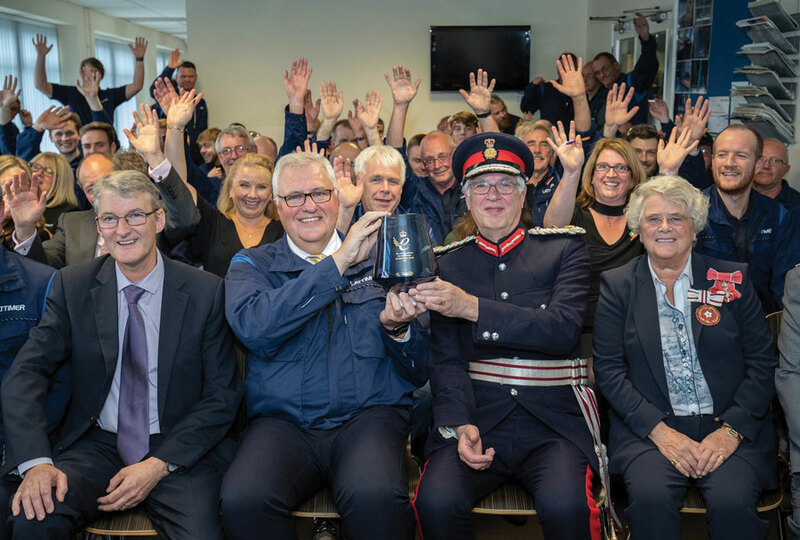 Global glass industry firm Lattimer was officially recognised as a world-class exporter after being presented with the 2018 Queen’s Award for Enterprise, International Trade, marking a significant moment in the company’s 76-year history following 40 years at the forefront of design and manufacture of components for the glass container industry. “This is an incredibly proud moment for each and every person who has contributed to the success of Lattimer since its inception in 1942,” Lattimer Holdings CEO Stephen Waterhouse said. “This business has remained hungry and ambitious. 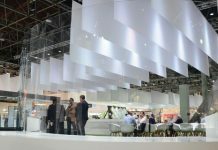 For decades we have consistently raised the bar in terms of engineering processes and techniques for the container glass manufacturing sector. Due to the quality of our products and ability to produce complex, tailor-made solutions we have been able to export to all four corners of the globe. 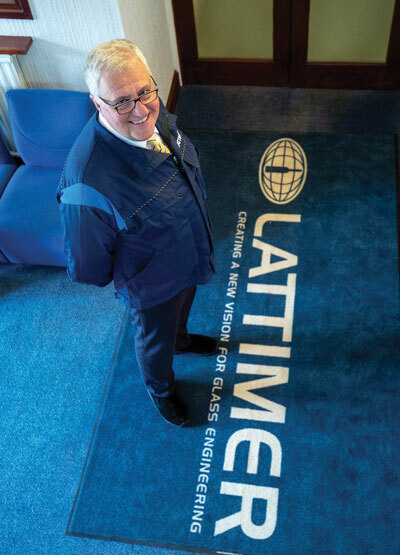 Lattimer is now widely regarded as the world’s leading IS variable equipment supplier to OEMs (Original Equipment Suppliers), glass manufacturing groups and independent plants. The Queen’s Awards for Enterprise is an awards programme for British businesses and other organisations which excel at international trade, innovation or sustainable development. The scheme was established as The Queen’s Award to Industry by a royal warrant on 30 November 1965. It is regarded as the highest official UK award for British businesses. GMP&A: What is your biggest market? Lattimer: The US without a doubt, as we sell a lot into our sister company there, as well as to Emhart and O-I. Europe is our second-biggest market, helped currently by the weakness of the Pound. GMP&A: How many products do you actually have? Lattimer: In the UK alone we have over 30,000 parts. We normally sell about 4-5,000 different parts in a year. And we create on average between 35 to 50 new parts a month, which could mean totally different parts or ones that need some kind of modification or amendment. GMP&A: What about this glasstec? How has this show been for you at Lattimer? Lattimer: This has probably been the busiest glasstec that we’ve ever had! Of course, we’ve been working really hard to reach these levels – our service levels, our quality, our product lead times, our range of new and innovative products have all contributed to our growth and continued success. Our willingness to work closely with customers to address their specific issues that they have has certainly helped fuel our significant growth.